Elaine Hancock (Olney, United States) on 25 January 2019 in Art & Design. scary nails, lip and eyes !!! Colourful, though !!! Très belle fresque aux vives couleurs. Un art attractif, bel équilibre des couleurs. Superb capture of the street-art and great colors . beautiful composition and great colors...cool work of art! Amazing close up of this art! This beautiful art is nicely captured, fine colors and sharpness. 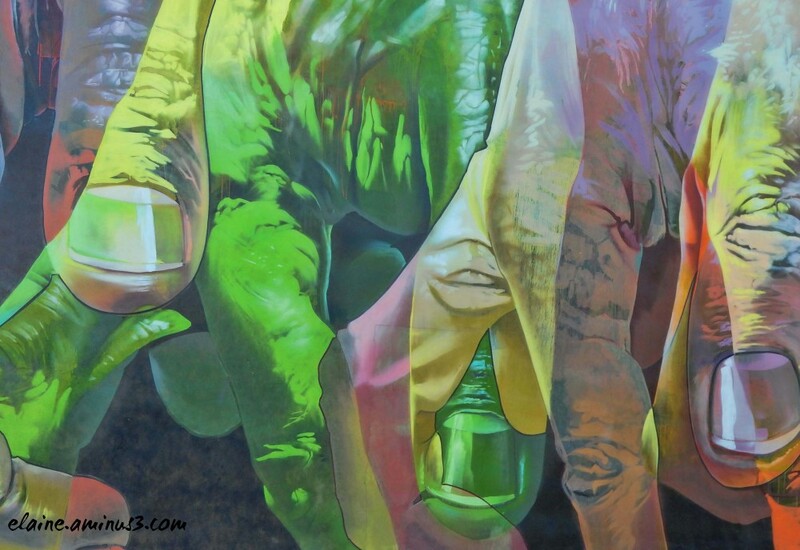 This is a beautiful mural, excellent work, I like the look of the hands and shiny nails. Colorful and interesting mural. I wonder about the meaning, if there is one. Some really unusual and cool art.